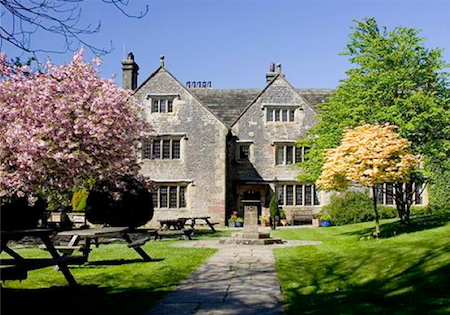 This weekend retreat in the beautiful Peak District offers uplifting Yoga & an Introduction to Mindfulness. Exclusive price to Social Circle members, with a saving of £24. Ruth has a wealth of experience & knowledge, & her dogma-free & lively yoga practice creates a safe, fun & inspiring environment to explore your body, mind & emotions. Liz is an experienced NHS therapist & a mindfulness teacher. She fosters an inclusive & welcoming atmosphere to introduce the benefits of mindful awareness to our everyday life. All welcome - suitable for beginners and intermediates alike. 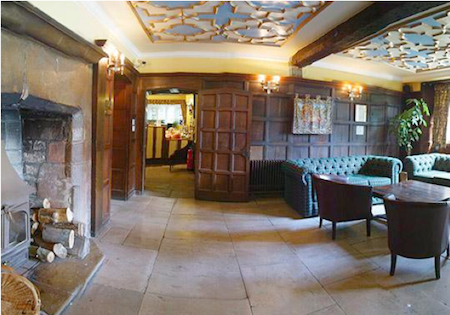 YHA Hartington is a stunning 17th century manor house, with log fires & oak panelling, all set in beautiful gardens. Hartington is a pretty English village nestled in the Peak District National Park - perfect for a break from the city. 2 nights in a shared en-suite room; hot & cold breakfast buffet both mornings; the chosen sessions of yoga &/or sessions of Mindfulness, as well as use of all the facilities, including a self-catering kitchen; licensed bar & restaurant. You are welcome to check-in from 3pm on Friday. There will be 3 sessions of yoga & 3 sessions of mindfulness over the course of the weekend, & the final times will be sent out 2 weeks before. These are scheduled so that those that are joining all 6 sessions will be able to do so, and still have free time. We expect to finish around 12 noon on Sunday. The class size for all sessions is limited to 12 people. A non-refundable deposit of £40 secures a place, & the remainder is due by March 31st 2016. A full hot & cold breakfast is provided both mornings. For all other meals, there is the option of self-catering or dining in the restaurant on-site. Alternatively, you can dine in one of the pubs in the village. There is a well-equipped self-catering kitchen & dining room at the venue. This enables you to mix & match purchased and self-catered meals as you prefer, allowing you to control any budgetary or dietary requirements. We will try & help co-ordinate transport if people are looking to car-share. About 2 weeks before the retreat, detailed information - including session times, room allocation, transport & parking information, more catering options etc. - will be sent out. I've got into photography since attending a class with Social Circle - now I take my camera everywhere.